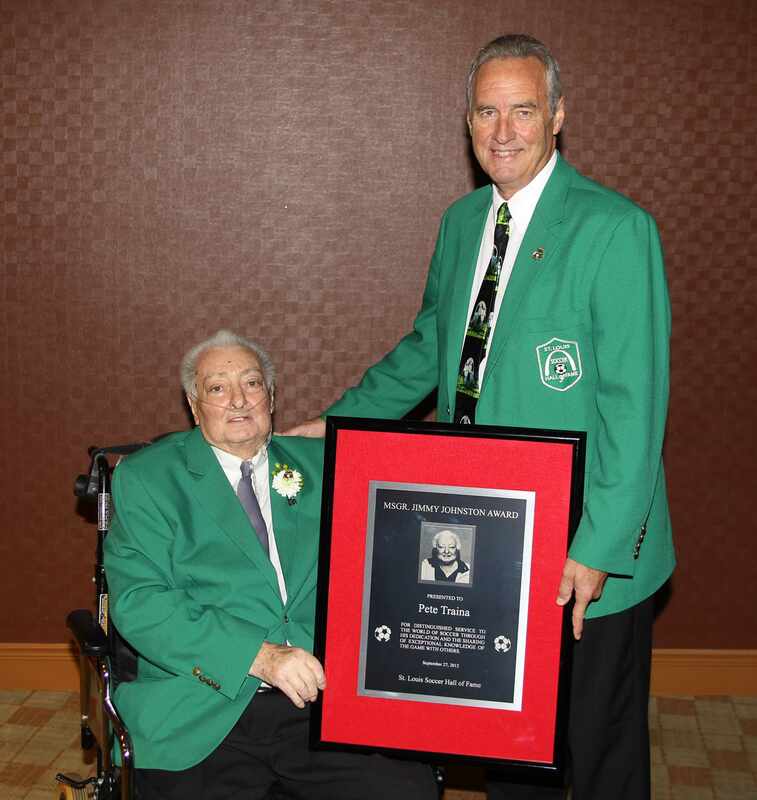 Pete was inducted into the St. Louis Soccer Hall of Fame in 1983. The 1919-1920 Soccer Season saw the Ben Millers of the Local amatuer league win the National Open Cup Title by besting a team of professionals from Fore River, Mass. The Ben Millers were composed of all native St. Louisans, the first of many National Championships made up of American born players to capture the Cup. The winning goal was scored by the great Jimmie Dunn, as the Millers won 2-1. The captain and halfback was Msgr. Jimmie Johnston (at that time he was a seminarian). In 1970, Msgr. Johnston organized a 50th reunion of the remaining members of that squad. They gathered at the Carpenters Hall on Hampton, and had such a great time, they decided to do it again in 1971 and invite other Soccer luminaries of the area to join them. Thus was born the "OLD TIME SOCCER PLAYERS HALL OF FAME IN ST. LOUIS". Twenty-two stars of the past were inducted on November 11, 1971. Since then, nearly 700 players, coaches, sponsors, referees and administrators from the past 120 years have been enshrined, many posthumously. In 2003, the organization adopted the name of "THE ST. LOUIS SOCCER HALL OF FAME". Msgr. Jimmy Johnston was born on December 8, 1896 and passed away June 11, 1979. 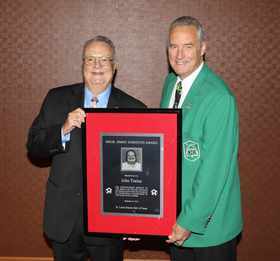 A memorial plaque in his honor is presented at the yearly induction dinner to an individual who has possessed the same passion for the game and has spread the gospel of Soccer to make it the greatest sport in the world.